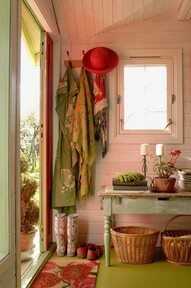 I realize that not everyone has or can have a mudroom. They truly are a luxury, especially when you have kids. Especially in winter with the coats, mittens, hats, scarves, boots, socks and hoodies. Even if you do not have a dedicated “room” for “mud” and such, you can still find a space to create order for you coats, shoes, bags. 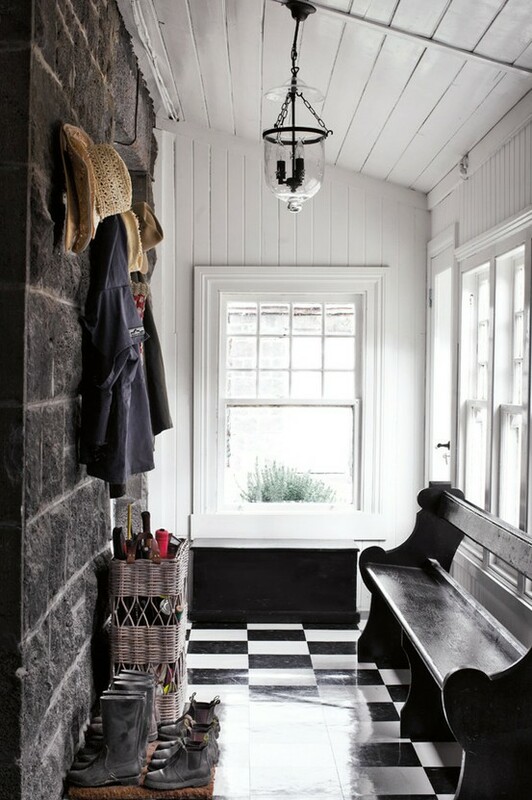 It may be a foyer or a closet or a back room or even a hallway. 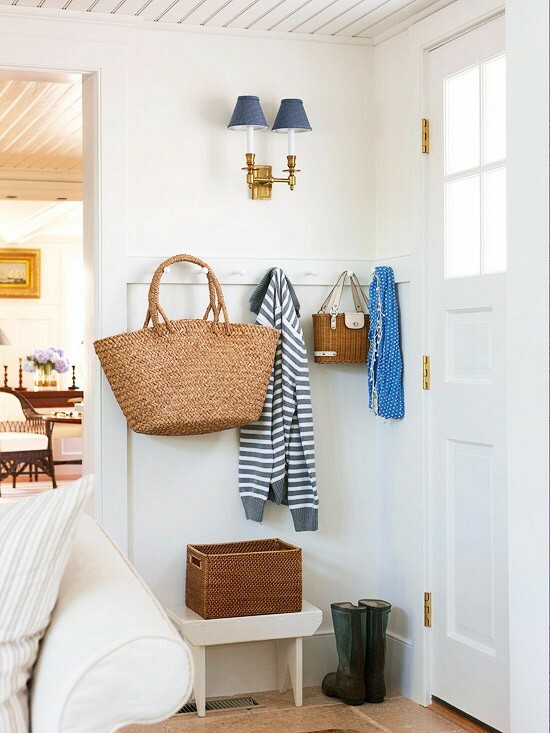 Maybe you have the space in your foyer for an actual piece of furniture that would help, complete with seating, hooks and cubbies. 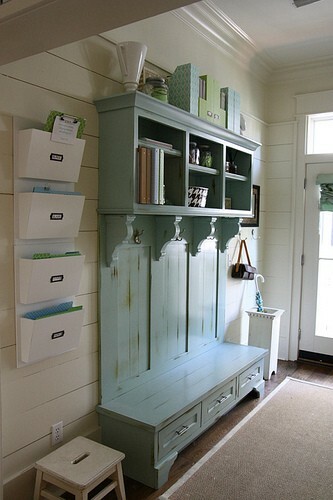 This looks tall and cumbersome, but would actually really work in a narrow space near the front door. This piece was made from an actual old door! Love that. 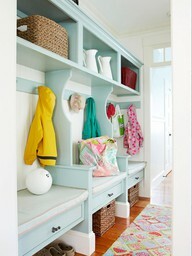 I love the idea of turning a cool, painted amoire into a storage space for coats and shoes. 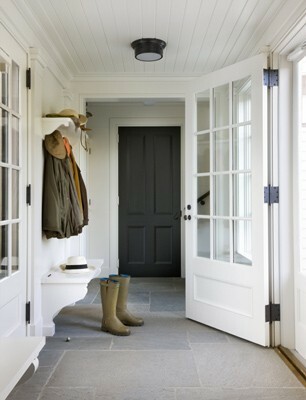 Maybe your mudroom is in a sunroom or breezeway. Is that seriously a church pew? A picture after my own heart. 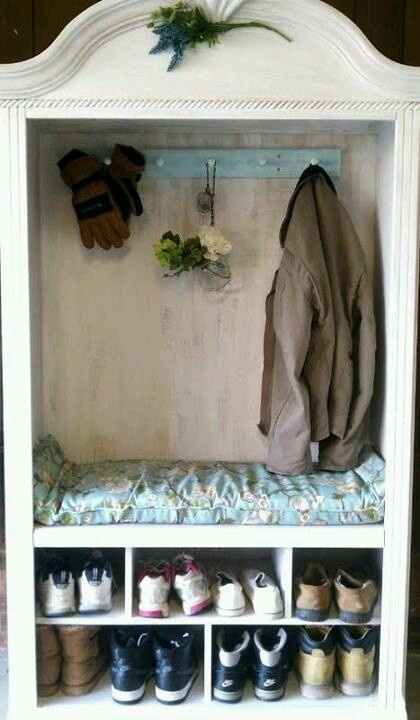 If you have room for a little bench or even a chair it would be really useful to get those rain boots on. 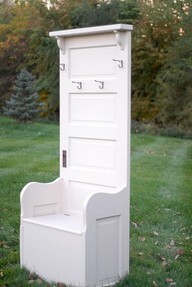 How about a tiny, vintage step stool even? 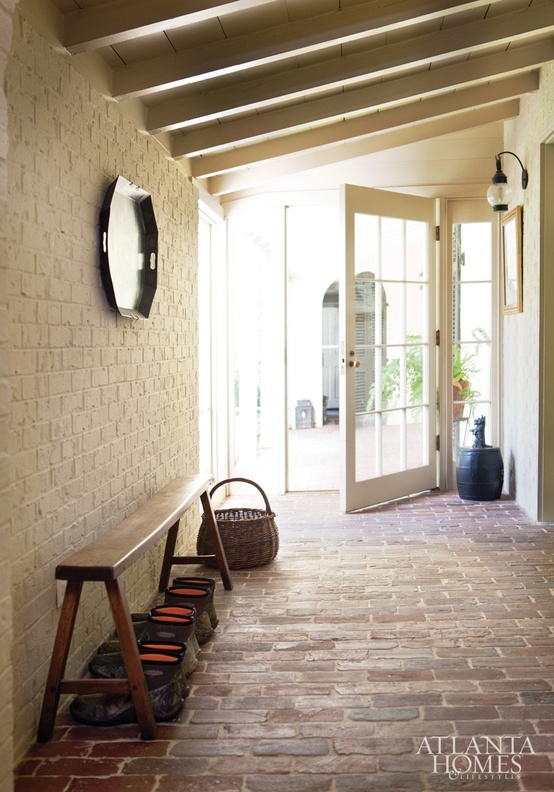 It could even be a space towards the back of the house if need be. Maybe you still don’t have the space for a piece of furniture because you open the door and there you are in the family room. 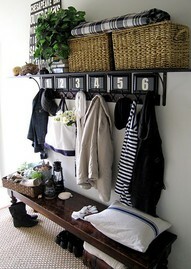 How about a rack of hooks on the wall, a shelf for hats or baskets and a bench? I think the clever thing to do is to go up. Shelving, hooks, baskets UP the wall. Don’t underestimate the usefulness of a row of hooks behind a door. 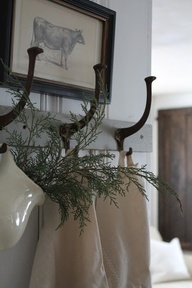 Find some interesting hooks that define your home style. You can fine vintage or even check out the cool ones at Anthropologie for some fun. Again, go up the wall with some shelving or even wall decor to make the space feel like it’s own “room”. 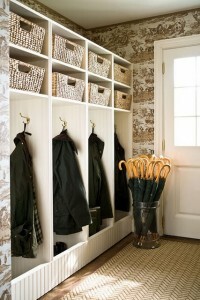 I’d show you pictures of my own mudroom, but, alas, it’s pretty muddy right now. I love nice people. I respond to them and want to help them and chat with them. I met such a lovely lady this morning for a consult. She had a gorgeous home, but more important to me was that she was so inviting. I know that going into one’s space and creating solutions & suggestions is very personal and so I really appreciate it & consider it a honor. 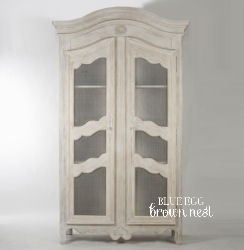 She was after a large piece of furniture for a wall in the most lovely living room. So, as I was trying to come up with a Favorite Thing for Friday I wondered if others would be looking for something similar for a large wall. And I said to myself, “Why, yes, they would be interested” as I received loads of emails about where to find large amoires, chests, etc. I’ve been meaning to tell you about one of my new shop finds, Coach Barn. 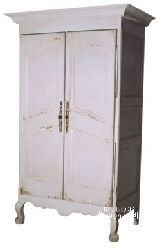 This piece is 52″ so with a few sconces on either side, it could take up a good piece of the wall when centered. At 39″ maybe be better for a smaller wall space. I think it’s ideal of that your large amoire be practical. If you need to stuff it with kids toys and close the doors, then do it. 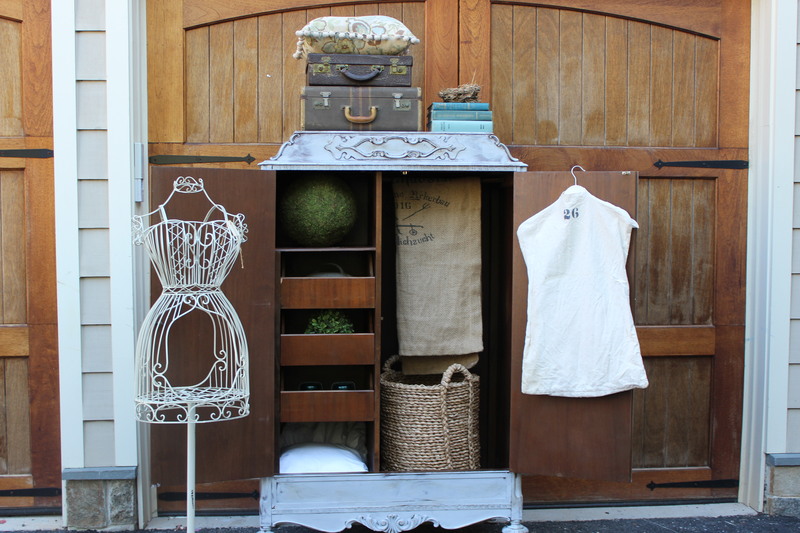 If you need to put a tv in it so you don’t have to stare at a black screen or you need to hang you husbands shirts because you’ve taken up all the closet space, then why not look at something lovely from the outside? Gulp. 10 Days to the Home & Remodeling Show at the Expo Center January 20th at 1:00. 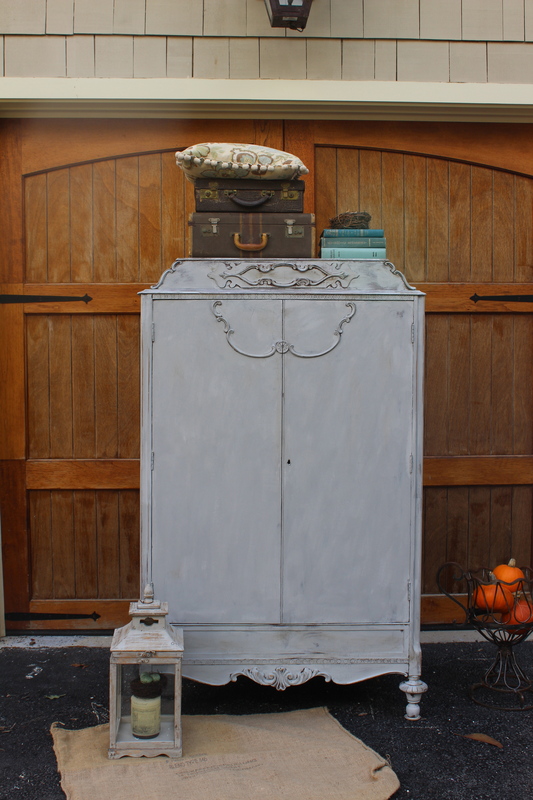 Join me as I will be doing a chalk paint demo. Better finish up the Power Point. Akkk!